An easy way to implement picture study with your family. Each Picture Study Pack contains ten works printed in full color on lightweight, letter-size cardstock, as well as basic facts about the artist and a sheet of helpful notes that parents can reference when discussing various works with their children. The included works have been specially selected to be those most worthy of a child’s time and attention (with consideration being given to such qualities as loveliness, modesty, order, and faithfulness in portraying a given subject). Each art pack comes in a clear plastic storage envelope. You can read a short article on picture study here. 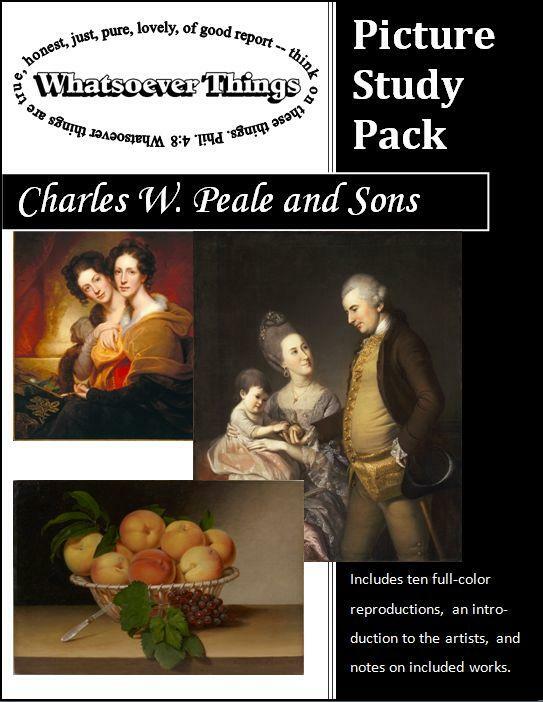 Charles W. Peale and Sons Picture Study Pack includes The Sisters, Portrait of John and Elizabeth Lloyd Cadwalader and their Daughter Anne, Still Life: Basket of Peaches, and seven more! 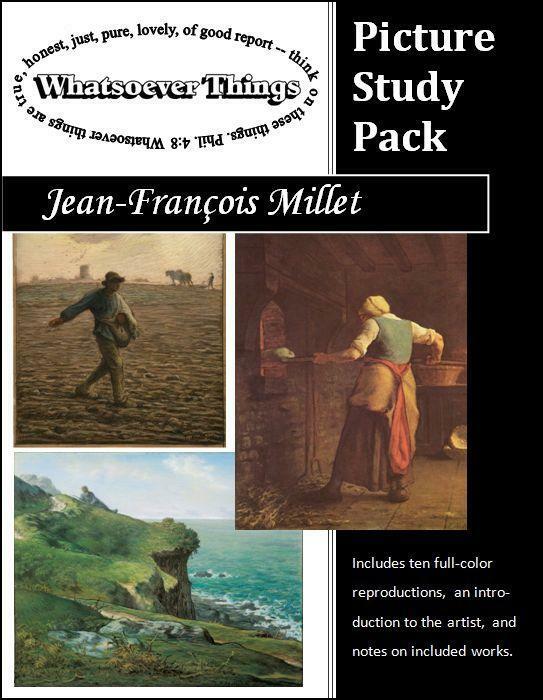 Jean-François Millet Picture Study Pack includes The Sower, Woman Baking Bread, Cliff of Gréville, and seven more! 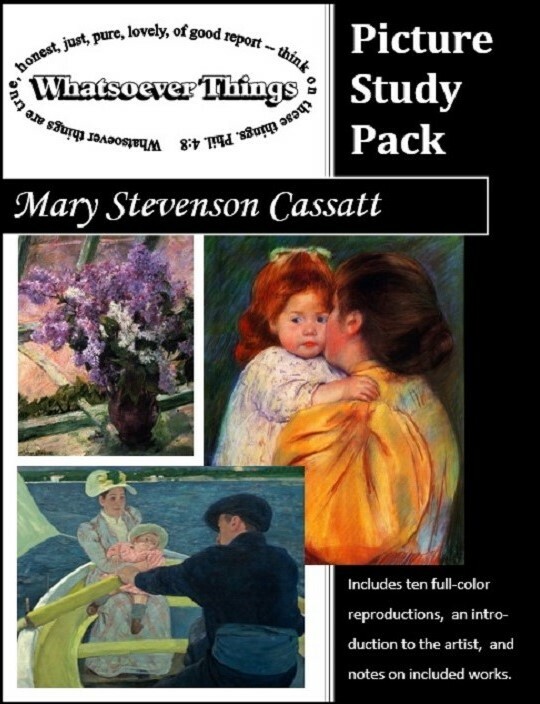 Mary Stevenson Cassatt Picture Study Pack includes Lilacs in a Window, Mother and Child (Maternal Kiss), The Boating Party, and seven more! 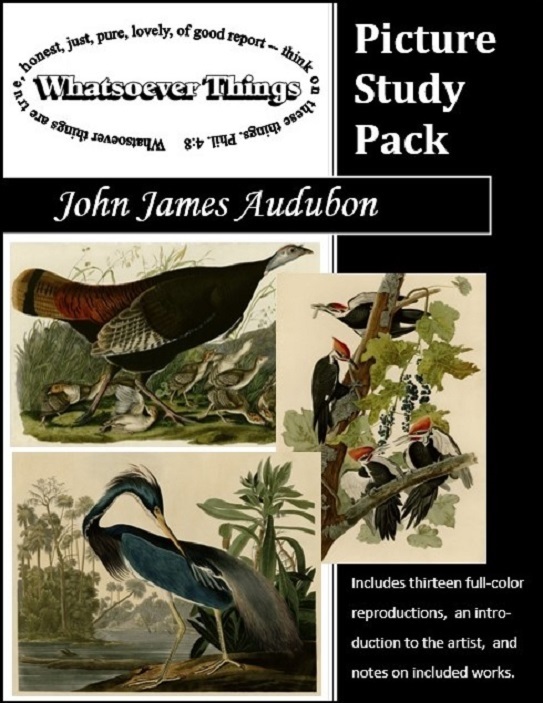 John James Audubon Picture Study Pack includes Wild Turkey, Pileated Woodpecker, Louisiana Heron, and ten more! Special expanded pack. 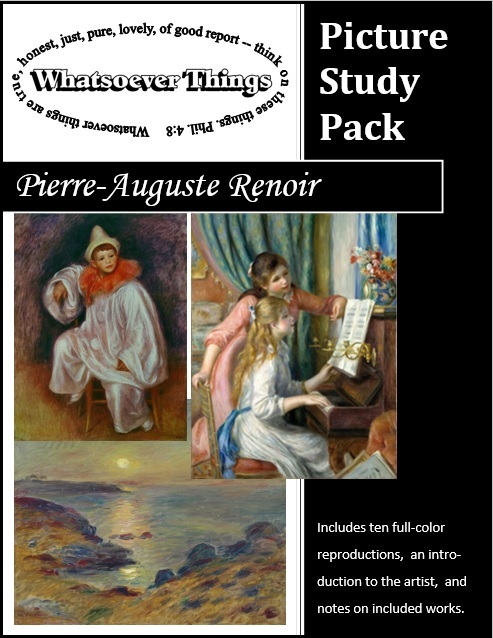 Pierre-Auguste Renoir Picture Study Pack includes The White Pierrot, Girls at Piano, The Sunset, and seven more!